For most of my life, the list has been a central tool for thinking. I use lists to prepare lectures, books, articles; scratch the surface and all my lectures and writings are simply hidden and sometimes not so hidden lists. But more than this: everyday I get up and make lists: lists of people to think of, lists of things to do, lists of things not to forget, lists of ideas, lists of lists. I keep lists on my desk, in my pockets, on my computer, on my phone. I am always making lists in my head through the day. And at the end of the day, I make lists of things that I have done. And this has always been so – as far back as I can recall: at school I was called ‘Ken the list’. The list solves a key problem of life for me. I am deeply aware of the multiplicities, complexities and infinite possibilities of human life in a seemingly infinite multiverse. 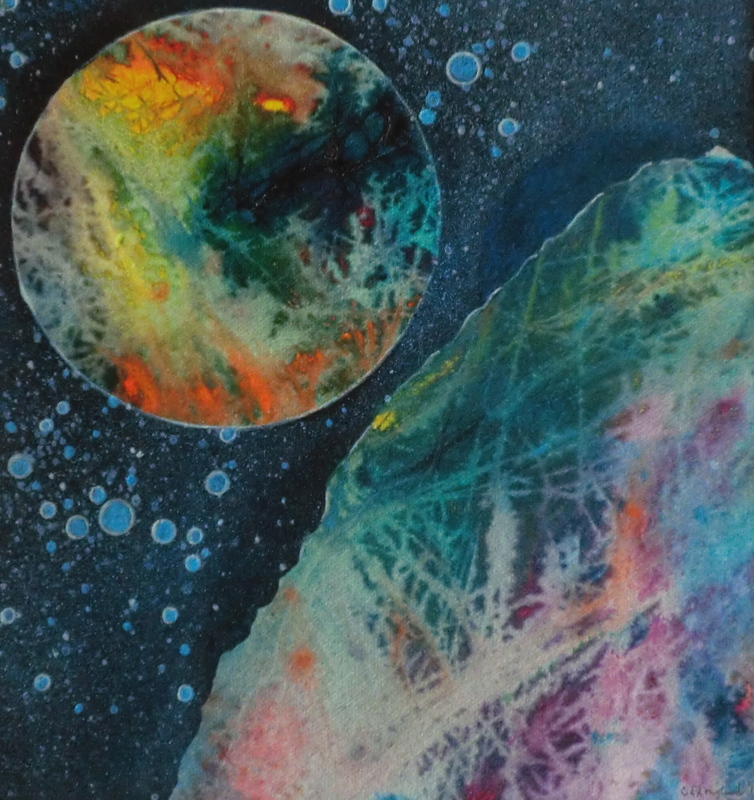 This vast world of possibilities needs a momentary taming, a temporary tidying up. The list does this. The list organises possibilities – for the moment. It will never be able to exhaust the task, it will always be provisional and it will always have to be changed. It will have a built in sense of failure. It cannot in the end be achieved. But for the moment it can hold things together, create a centre, enable a lecture, a book, a day to get a temporary, emergent plan or plot. 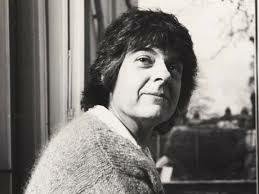 As I chat with people, it is not uncommon to find that many people write lists; some sound even more obsessive than me. And recently, I have found two books that have made me realise the intellectual significance of the list. It should not be discarded as an idea. 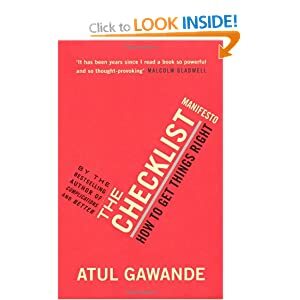 The surgeon Atul Gawanda has written a best selling text called The Checklist: How to get things right – in which he claims the check list is a major tool, possibly the major tool of modern surgery (and many of the key skills for living in the modern world). When surgery fails, it is often because the checklist was not brought into play! 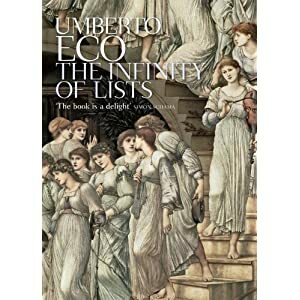 And the Italian polymath Umberto Eco organised an exhibition which in turn became a glorious ‘coffee table ‘book on The Infinity of Lists (2009). Here he displays how the list is found in art, in poetics, in things, in places and how it charts the ineffable and the infinite. Beautifully illustrated it is a treat to look. A must read. I just love a good list – and it won’t be hard to find them lurking behind this web site! 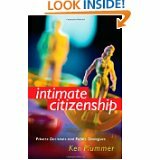 Posted by kenplummer on July 26, 2012 in Sociological Imaginations and tagged lists, multiplicities.